I can’t stop looking at this book! I love it! Hardcover, solidly bound, pleasantly laid out, beautifully photographed! 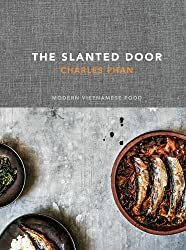 If you like Asian food and cooking, you’ll want to have this book too. I’ve only just begun to read the descriptive information which tells the history of this 2014 Outstanding Restaurant award winner. Although, I’ve already picked out several recipes to try! Recipes cover a full gamut – four or five course meals easily. Categories are: Starters, Cocktails, Raw Bar, Salads, Soups, Mains, Desserts and Basics. Seriously, every time I turned around, someone was grabbing my book to look at it! We will substitute some of the ingredients (depending on the recipe) as we stick more to a whole foods diet and do our best to cut those that are highly refined, processed, etc. No corn syrup, white sugar, white flour, etc. Many of the recipes look like they have mostly good ingredients though. Definitely a book about food and cooking that will stay on our shelves. You can be sure it won’t be one collecting dust! 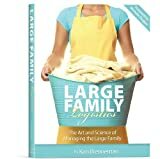 Retail price is $40.00 A little spendy…but, with the above link, you can purchase it at Amazon for $23.40 hardcover and $18.99 Kindle version. Use the "Look Inside" feature to browse the book. I don't think you'll be disappointed if you appreciate Asian foods and well made books. A lovely gift for the cook in your life this holiday season! ps – I received this book free as a review copy. I was under no obligation to provide a positive review. All thoughts and opinions are my own. This post contains affiliate links in which I will receive a small commission should you decide to purchase the product but will not incur additional cost to you. Thank you for your support!